Diagram of the free-return trajectory. ently attractive option for an agency that had a presidential directive to preserve the life of its human crews. The free-return trajectory relied on using the Moon's gravity as a steering device for the spacecraft. It is a technique that has been used by interplanetary probes for decades to move around the solar system more quickly than would be possible with rockets alone. If a spacecraft comes in from beyond the sphere of influence of a planet, it will have the same speed on both the incoming and outgoing legs when measured with respect to that body. However, if it passes by the trailing hemisphere, its heliocentric velocity is increased as it exchanges a little of that body's momentum in its favour, and its aphelion is increased. This is often characterised as a slingshot effect. Conversely, if it passes the leading hemisphere of the body, the exchange is away from the spacecraft, slowing its heliocentric velocity and forcing its aphelion to drop. The same possibilities apply to a vehicle heading for the Moon. With the free-return trajectory, the leading-edge case is taken to extremes, with the spacecraft being made to swing all the way around the far side of the Moon and onto a path back to Earth, thereby tracing out an immense figure-of-eight. The free-return trajectory also affords a slower approach velocity with respect to the Moon, again reducing the amount of propellant required to achieve lunar orbit. A win-win scenario. Once the free-return trajectory had been brought into the TLI calculation, there were very few solutions remaining to the equations that calculated the burn for the S-IVB. Such equations took into account the motions of Earth, the Moon and the spacecraft as well as the other major bodies in the solar system whose gravity would to some degree influence the spacecraft's path. They also accounted for the trajectory the lunar module would be taking during its descent to the surface, particularly when Apollos 15 and 17 had to approach through mountain ranges. One particular flight controller in mission control was responsible for procuring the details of a TLI burn that would fulfil as many of the desired conditions as possible. The flight dynamics officer (FIDO) worked with a backroom team and a room full of mainframe computers to calculate a range of possible solutions based on the Earth orbit the stack had achieved. These could be optimised for fuel efficiency, duration of flight, suitability for entering lunar orbit, and flight safety in terms of their return-to-Earth characteristics. From these, he picked one which, by his judgement, was the best compromise; one that required the Saturn's third stage to fire along its flight path in order to change the speed of the spacecraft by a certain amount at a certain time. It was then up to the S-IVB's J-2 engine to supply that change in velocity. Moon's orbit around Earth, it limited prospective landing sites to those that lay along the track of the resulting lunar orbit. Since the Moon's equator lies nearly in the plane of its orbit around Earth, the selected landing sites were all equatorial. 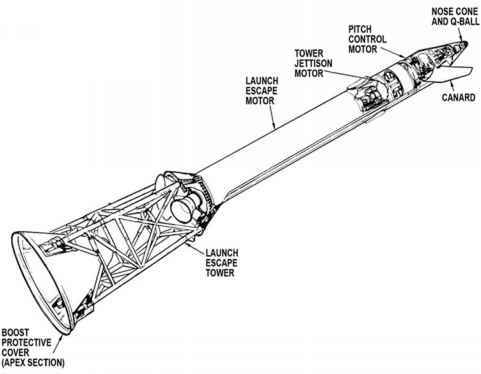 The H-missions, Apollos 12, 13 and 14, started out from Earth on a free-return trajectory, but once safely on their way their path was modified by a small burn to improve its approach characteristics, knowing that a corrective burn from either the SPS engine on the CSM, or the large engines on the LM, would be sufficient to return them to a safe coast home. The latter contingency had to be used on Apollo 13 to restore a free-return after the SPS engine was disabled. The J-missions were injected directly into a non-free-return trajectory, one that would not bring them home directly. Again, they relied on either the SPS engine to effect a safe return or, if that was out of action, on the large LM engines.